🥇 Shark vs. Dyson: Best Vacuums for You? In this comparison review, we’ll be looking at two of the most popular vacuum brands. We’ll be looking at Shark versus Dyson. Both Shark and Dyson have a wide variety of vacuum models and types. Both brands offer uprights, stick vacuums, canister vacs, robot vacuums, and handheld vacuums. For this article, we’re going to be looking at the most popular models and vacuum types, breaking down the pros and the cons. Before we dive into specific vacuum types, let’s talk about one of the biggest challenges for vacuums dealing with pet hair. There are a number of Shark and Dyson vacuums that could handle pet hair. However, we personally gravitate towards four models. On the Shark side, I really like their Rotator Lift Away Upright and the Shark Pet Perfect 2. The Shark Rotator is arguably the best value vacuum within the Shark or Dyson lineups. It’s an upright, isn’t too expensive, holds 1.43 liters, has a lift away canister, and includes several cleaning attachments. It’s just good at cleaning up a variety of messes. The Shark Pet Perfect 2 is another solid value. However, I really like this vacuum due to the rotating brush roll which is a feature you don’t see often on handheld vacuums. This makes it great at removing pet hair from fabrics and upholstery. On the Dyson side, we have Dyson’s newest vacuum, the Dyson V10. The V10 is arguably the best vacuum Dyson has ever made. It’s a personal favorite of mine and dominated our cleaning performance tests. The V10 has a decent size dustbin, 60 minute run time, has tons of cleaning attachments, and is lightweight. Its only downside is the price. Lastly, we have the Dyson Ball 2. Like the Shark upright, it’s versatile and includes cleaning attachments. However, it has an incredible level of raw suction power. The brush roll and suction power allow it to remove pet hair easily. Next, let’s check out Dyson versus Shark upright vacuums. One of the most popular Shark uprights is the Shark Rotator and one of the most popular Dyson uprights is the Dyson Ball Animal 2. Let’s see how they compare. The Shark Rotator is a little bit lighter and also offers a lift away canister which is great for cleaning stairs. The Dyson Ball Animal 2 has a larger dustbin at 2.1 liters but the biggest difference is simply raw suction. According to Dyson, the Animal 2 has the strongest suction of any vacuum. Certainly, this is great for cleaning. However, this can also make the Dyson harder to move if you have high pile carpets. As far as pure value goes, the Shark is the easy winner. It’s a great general-purpose vacuum that’s fine for most homes. However, if you’re looking for more suction power or if you have pets in the home, the Dyson Ball Animal 2 is the better choice in my opinion. Other similar models you may want to consider include the Shark Navigator and the Dyson Ball Multifloor. Next, let’s take a look at Shark and Dyson cordless stick vacuums. Shark has their Rocket line while Dyson is known for their V Series vacuums. In comparing the two most high-end models, we’ll look at the Shark Rocket IONFlex and the Dyson V10. In terms of performance, it isn’t much of a contest. The Dyson V10 weighs less, runs longer, and has a larger dustbin. That said, the Shark IONFlex is also about half the price of the V10. So this comparison really comes down to whether or not you’re able to live with the performance differences. With the Shark IONFlex, you’ll need to charge and empty it more often. But for smaller homes, it may be perfect. 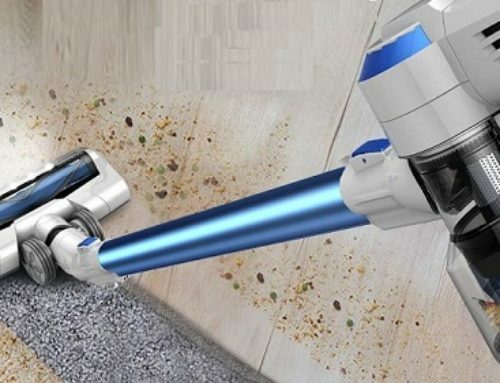 If you have a larger floor plan to clean, the added performance of the Dyson V10 is probably the better choice. 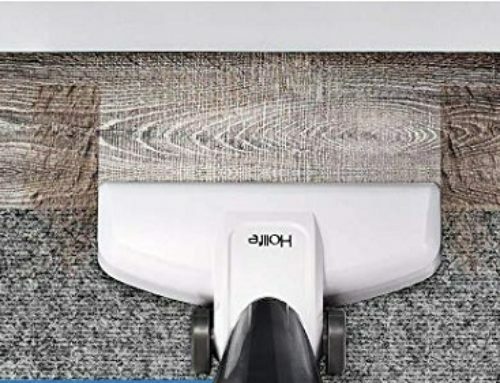 Other similar models you may want to consider include the Dyson V6, V7, and V8, and on the Shark side, the Shark Rocket ION and Shark Rocket IONFlex DuoClean. There are two primary handheld vacuums for both Shark and Dyson. Shark has their Pet Perfect 2 while Dyson has their Trigger, available in V6 and V7 versions. Just like the Shark versus Dyson stick vacuum comparison, the handheld comparison also really comes down to performance versus budget. The Dyson V6 and V7 offer greater performance, runtime, attachments, and versatility. However, it’s also three to four times the price. If you just need a handheld vacuum for quick spot cleans or removing pet hair from around your home, the Shark Pet Perfect 2 is probably fine. But if you want a handheld vacuum with all the bells and whistles and better overall cleaning performance, the Dyson Trigger is going to be a better option for you. When it comes to robotic vacuums, it’s a bit of a one-sided comparison. Dyson currently has their 360 Eye Robot. However, reviews have been largely mixed on this model. Dyson recently released their Dyson 360 Heurist robot vacuum. This model is supposed to be a marked improvement over the Dyson 360 Eye. However, the Dyson 360 Heurist is currently only available in China. That said, Shark has two popular robots: the Shark ION 750 and the Shark ION 720. In terms of performance, both the 750 and 720 are quite similar. Both have a 60-minute runtime, two spinning side brushes, self-charging, and scheduling. The biggest difference is the 750 includes smart phone control whereas the 720 only has remote control with a separate standalone remote. At the end of the day, both Shark and Dyson have pros and cons. 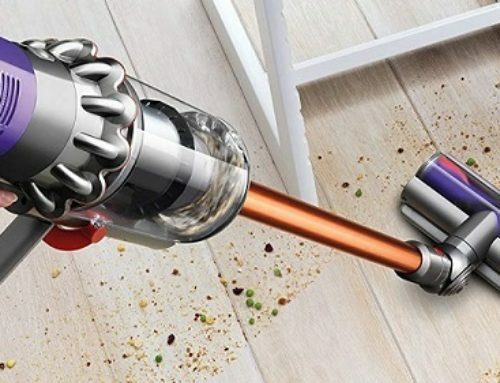 Dyson is going to be a little bit more expensive. However, it generally offers better quality and better overall cleaning performance. On the Shark side, you’re able to still get a great quality machine. However, you will spend a little bit less money but you will probably give up a few bells and whistles while you’re at it.